A January conference for women. This series ("We Are Women – Watch Us Soar") has addressed practical and survival issues for women. Each year we have had a full-to-capacity event as we discuss everything from the challenges of retiring in Montana to domestic abuse issues. Investing and degree completion have been topics as have child care, emotional and physical health, and suicide prevention. This full-day conference offers an outstanding opportunity to network, to meet women from our community, to develop new perspectives, and to put resources in place for future issues facing women. Space is limited so reserve your spot today. Our lunch will be provided by a woman who saw a need and created a suitable healthy lunch option for Billings and the surrounding area. This all-day event will be held in the Community Room at the Billings Public Library. Reserve your spot today by emailing peacestudies@rocky.edu or calling 406.657.1042 to secure your spot today. The registration fee is $25 and is non-refundable, but covers your materials, lunch, snacks, and the chance to win door prizes. Casey Jourdan is a Montana native, Iraq War veteran, and a multipreneur. Born and raised in Bozeman, Casey joined the Montana Army National Guard right out of high school. She was deployed to Baghdad, Iraq in 2003 and was wounded in an IED attack in 2004, just weeks before her tour was set to end. Casey has received the Purple Heart medal for wounds sustained in combat. 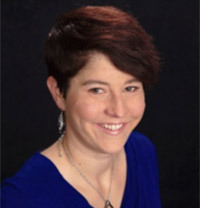 As an advocate for herself and other veterans, she’s a TEDx speaker who talks often and openly about life with post-traumatic stress and a brain injury. 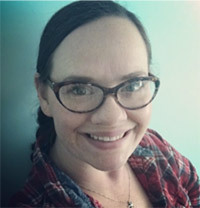 Casey is also a multipreneur running 3 very diverse small businesses building custom furniture, designing t-shirts, and coaching women on how to build and launch their own business online. Casey understands that we all face our own challenges and tragedies in life; but that doesn’t have to slow us down or stop us. Some of her greatest life lessons have come out of her darkest days. She believes in celebrating wins no matter how tiny, that we all need to continue to learn and build a toolbox of people and skills to support us in whatever we pursue, and that there is no one right way to live this life. These beliefs are the core foundation from which she’s built each of her businesses. Now she teaches and empowers other women entrepreneurs how to design and launch their own business through her newest venture Boss Lady Central. Akvilina Rieger's story began on the shores of Baltic sea in bucket-list worthy country of Lithuania, while it was still under Soviet regime. She lived to see her country break out of the Soviet Union and become the Independent Republic of Lithuania, transitioning from communism to a free market society. College scholarships brought her to Montana where she created a family with her husband and two daughters and now calls Montana her home. 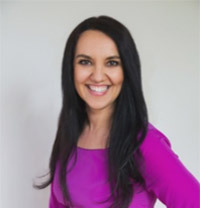 A big believer in the American dream, Akvilina will speak on how she achieved her "American dream with Lithuanian accent" (literally and figuratively) and how she makes it her mission for people around her to see their highest potential to live their American dream. Sheri Murphy is the owner of A & E Floral. This family owned and operated business was established in 2016. 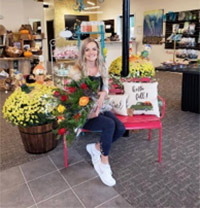 Sheri Murphy along with her fiancé, started her dream of owning her own floral shop in a corner of “The Garage” in Laurel. Just one year and a few loyal repeat customers later, they bought a country home and expanded and renovated a detached studio. Growing each year, today they are proud to have a new location on Grand Ave in Billings. Sheri believes in building relationships starting with arrangements for customer’s baby showers and for their children’s proms and so on into the future. If you’re a customer, you’re an extension of the family. Sheri has a one of a kind story and she believes in going above and beyond for you. A vagabond by nature, Sarah Moyer lived in Oregon, Washington, Missouri, and Kansas before setting down roots in Montana with her husband and three children. She has always been passionate about creating delicious and nutritious food. A desire to contribute to the family finances lead Sarah to create what was supposed to be a small coffee delivery business. Sarah does nothing small. Her business is in the early stages of explosion and controlling the growth and staying committed to her business ethics and values is extremely important. With that in mind, she partners with other strong and passionate women every chance she gets.